Product prices and availability are accurate as of 2019-04-17 14:32:51 EDT and are subject to change. Any price and availability information displayed on http://www.amazon.com/ at the time of purchase will apply to the purchase of this product. 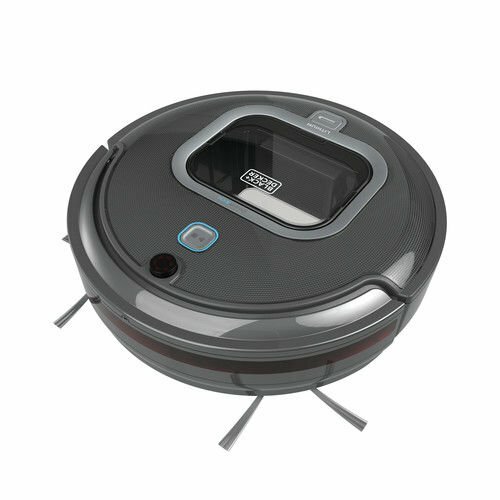 The black decker HRV425BL smartech lithium robotic vacuum, with LED and Bluetooth - keeping up just got easier! conveniently control and schedule your vacuum with black decker smartphone app. This vacuum features an XL dustbin that holds 2x more pet hair and dirt than the competition, so you can clean more between empties. 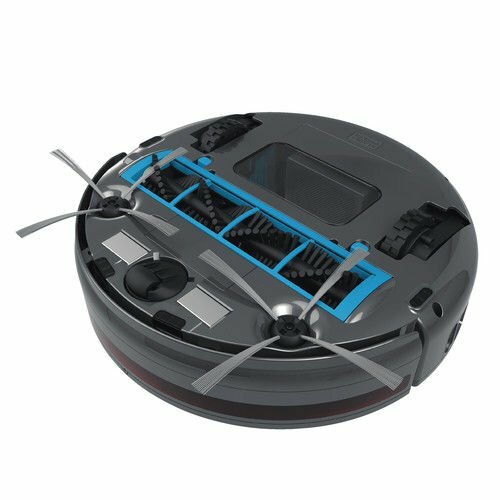 The extra wide brush bar cleans more area per pass than the leading Robot vacuum in the market. 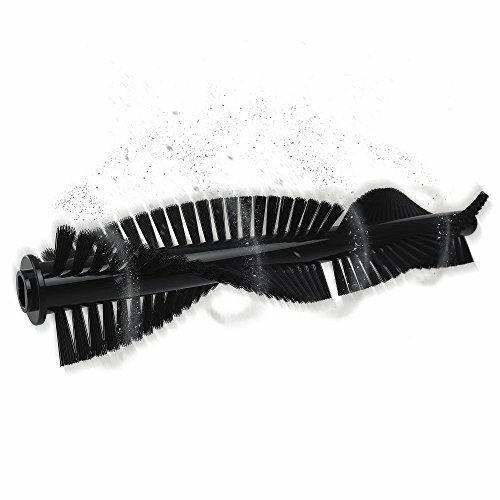 You can select from three cleaning modes to fit your needs: spot clean, quick and auto or choose manual Drive for full control of the cleaning area. 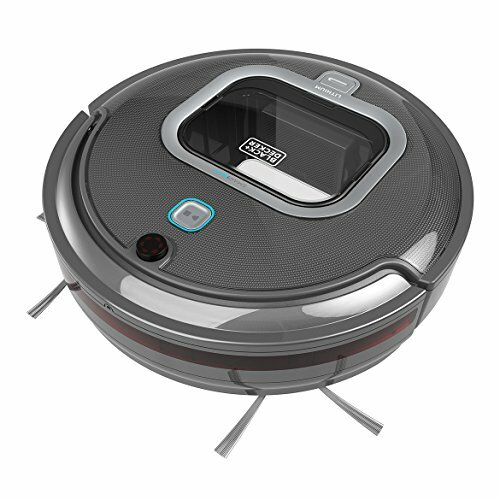 Autosense automatically adjusts suction power from hard floors to carpet, so you get more power when you need it and the lithium ion battery optimizes performance with up to 90 minutes of runtime. 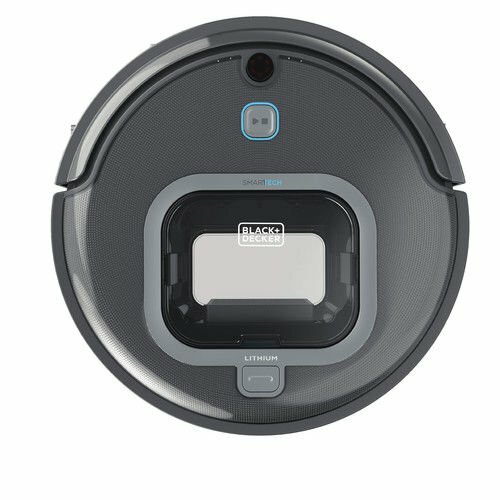 Sensors detect stairs and other drop-offs, and then it automatically docks and recharges so it's ready for the next cleaning. The LED top cover flashed troubleshooting alerts to display the source of Errors or maintenance needs, eliminating guesswork - personalize the illuminated LED cover to match your color style! includes: 1) robotic vacuum, 1) charging base, 1) charger, 4) side Sweepers, 2) filters, 1) Multi-Surface purpose brush bar, 1) brush cleaning tool, 1) screwdriver.